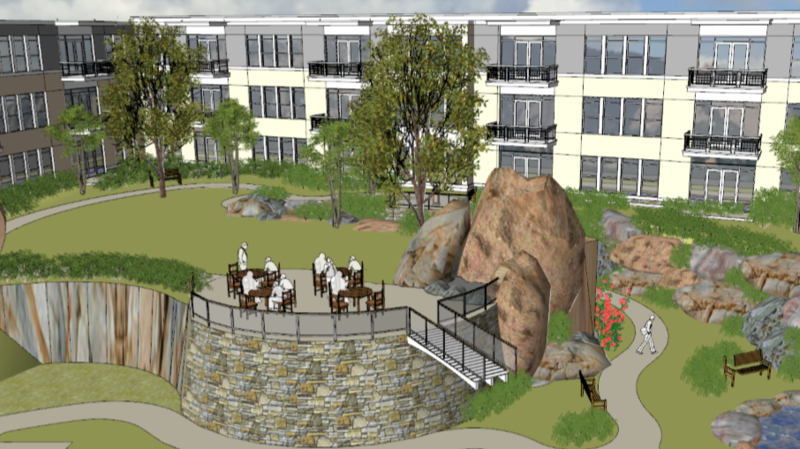 At the corner of Leetsdale Drive and Holly Street in Denver's Hilltop neighborhood, Focus Property Group is Developing a senior living community with plans to open in summer of 2020. The 3-story, 345,000 square-foot development will contain over 200 urban-style apartments for seniors including independent living, assisted living, and memory care units. Residents will enjoy a host of amenities including 3 courtyards, multiple dining options, a parking garage, fitness and aquatic centers, a spa and much more. The architecture is inspired by the best design of nearby neighborhoods, the urban lifestyles of the residents, and a high regard for the staff. The convenient location of the community is surrounded by public transit, shopping malls, boutique stores, supermarkets and community centers.